Planning a trip to Barcelona, but can’t decide in which area of the city to stay? With so many beautiful districts in the Catalan capital it can often be difficult to choose which one is the right location for your apartment in Barcelona. Well, read on for our top choices for staying in Barcelona: five distinct neighborhoods scattered all over the city, each one offering you a unique experience for your vacation. Barceloneta was originally constructed for the residents of La Ribera who had to be moved due to the construction of the Ciutadella fortress built by King Filipe in the 18th Century. 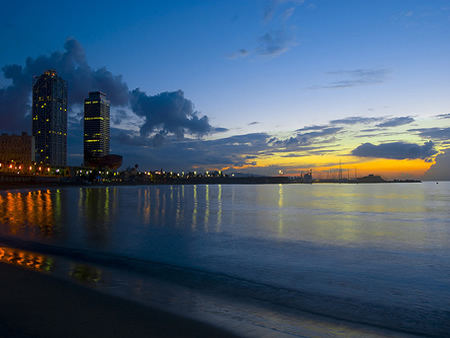 More recently, the additions of nearby Port Vell and Port Olímpic have made the area a popular place for tourists looking to stay close to the beaches of Barcelona. The neighborhood is well-known for its ‘chiringuitos’ (beach bars) and amazing seafood restaurants.Throughout the warmer months of the year, this is the most popular place to stay, due to its easy access to the Mediterranean coast, although it is an admired vacation spot all year round, as this sunny location is home to many modern and comfortable beach apartments in Barcelona. 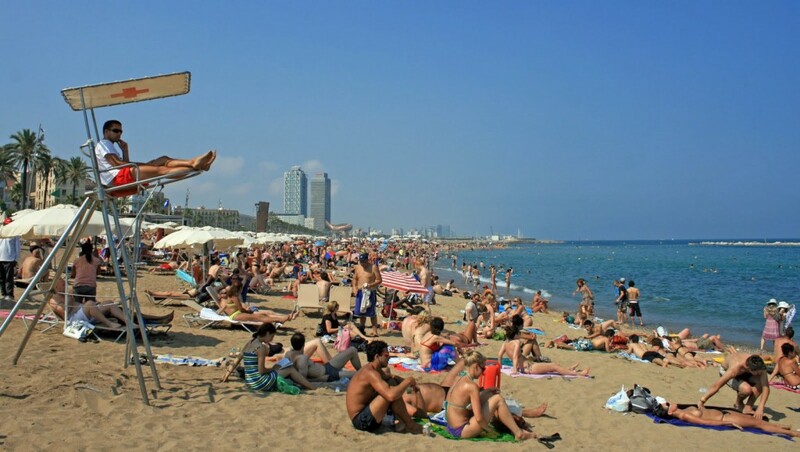 If you decide to choose La Barceloneta as the base for your holiday, not only will you have the sun, sea and sand at your fingertips, but you will also be just a short walk from all of the city center attractions, too! If you are looking for an upscale neighborhood with a ton of local flair, look no further than Gràcia. Just outside the city center limits, at the end of Passeig de Gràcia, you will find this quaint town with its distinctively Catalan atmosphere. This neighborhood is home to many charming restaurants, locally-owned boutiques, and some of the best luxury apartments in Barcelona, as well a movie theater showing films in both English and Spanish. Throughout the years this area has become a popular hangout for local students and young residents. As a result, its bar scene remains trendy, but wholesomely Catalan. By staying in Gràcia, you will find yourself close to Gaudí’s famous Park Güell with breathtaking views of the city, as well as being only a 5 minute journey from the heart of the city center. No trip to Barcelona is complete without a visit to the Gothic Quarter, and even better, renting an apartment in this historic district allows you experience the city’s rich history first-hand. 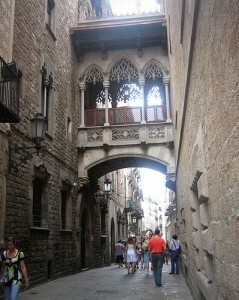 There are many apartments in the Gothic Quarter leaving you right in the heart of the old Barcelona city. Nestled in between Las Ramblas and El Born, this area is characterized by its small, labyrinth-like streets, intimate plazas and beautiful Gothic architecture. A few must sees within the neighborhood are the Catedral de Barcelona, Plaça Reial, and the government palace of Catalonia, where the Generalitat de Catalunya operates. Packed to bursting with quaint shops and cafés, El Barri Gótic is the perfect place to stay and get a taste of true Barcelona culture. Eixample, Catalan for “extension”, is home to some of Barcelona’s most famous sights, such as La Sagrada Familia, Gaudí’s unfinished masterpiece. During the 20th century, the city planning board commissioned this area as the very first extension from the main city square. Today, Eixample is one of the most popular areas to visit, due to the tourist attractions that call it home. One of the most noteworthy is the famous street Passeig de Gràcia, as well as plenty more of Gaudì’s works including Casa Batlló and Casa Milà (La Pedrera). Characterized by its grid-like pattern, wide straight streets and both commercial and residential districts, L’Exiample is the perfect place to call home for a few days while you explore all of what Barcelona has to offer. It has many great bars and restaurants and is close to some of the best areas for shopping in Barcelona. You could even choose to stay in one of many Exiample apartments in Barcelona, and see why so many people love this neighborhood. 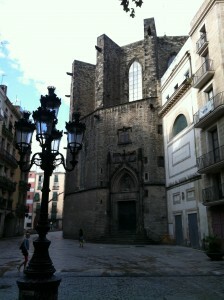 El Born, also known as La Ribera, is one of Barcelona’s oldest neighborhoods. It’s streets are filled with quirky bars, fashionable boutiques and interesting museums, offering something for everyone. This zone is home to an endless array of activities for tourists, with some of the most famous attractions such as the Picasso Museum. Just a short walk away, you will find El Palau de la Música Catalana. This music hall was opened in 1908, and is definitely worth visiting, although it is technically situated in the neighboring ‘barrio’ of Sant Pere. Another top sightseeing hot-spot in the area is the famous Santa María del Mar basilica, a beautiful Gothic church. By choosing an apartment in El Born, you will be in an up-and-coming zone, surrounded by some of the most historic sites in the city, with the modern-day Barcelona center just a few steps away. From the quieter El Born neighborhood, to the sunny Barceloneta beach, to the trendy Gràcia district, Barcelona certainly offers you a wide variety of great locations for your vacation. Whether you choose an apartment with sea views, or something a little further up the mountain, the Catalan capital is sure to keep you busy. 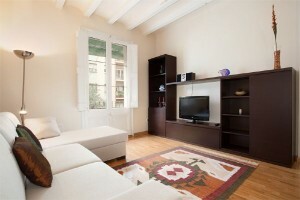 Book one of the many Barcelona apartments today and take advantage of all that this fantastic city has to offer! This entry was posted in Places, Travel & Vacations and tagged areas in barcelona, Barcelona accommodation, barcelona apartment rental, barcelona apartments, barcelona beach apartments, barcelona beaches, barcelona eixample, barcelona neighbourhoods, barceloneta beach, eixample apartments, la barceloneta, places in barcelona. Bookmark the permalink.